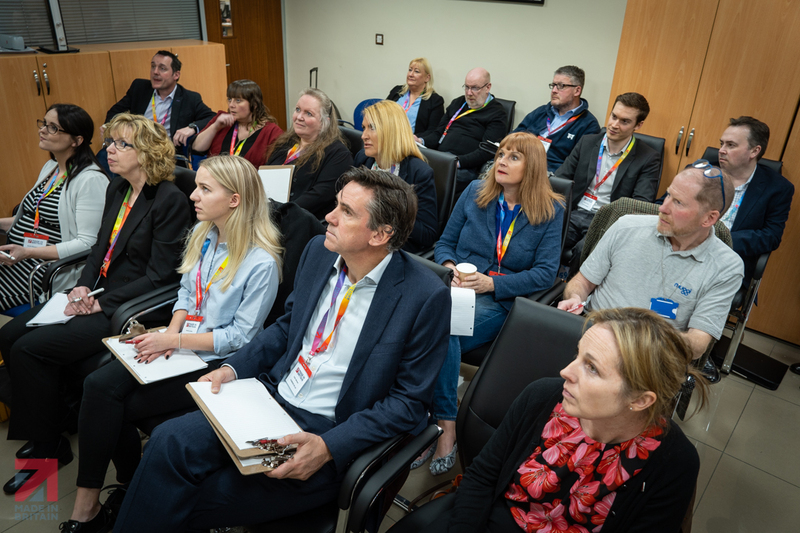 THE second Made in Britain member event of the year was held at Birmingham-based coffee machine maker Fracino on March 27, 2019. The theme of the workshop was export sales and how to make them or grow them. 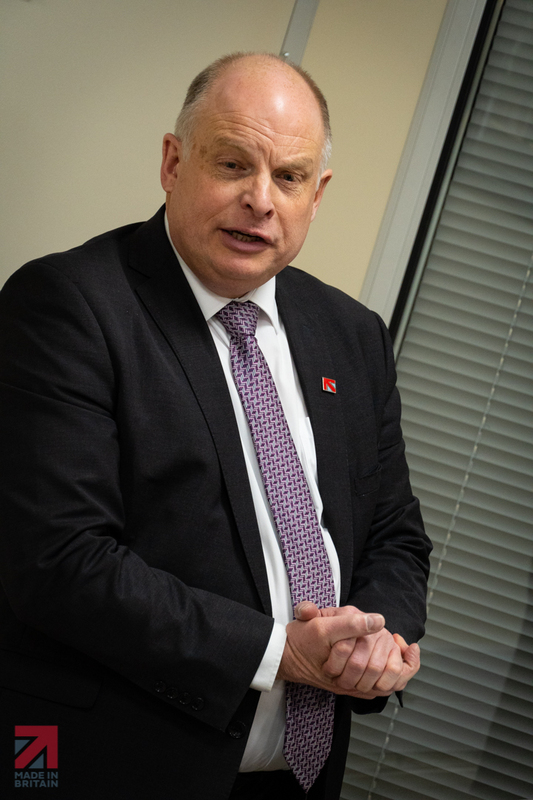 Events like this typically start with a short welcome presentation from Made in Britain chief executive John Pearce and today he gave a quick update on the organisation’s plans for 2019 before opening the floor to delegates who were invited to tell the group a little bit about their organisations. 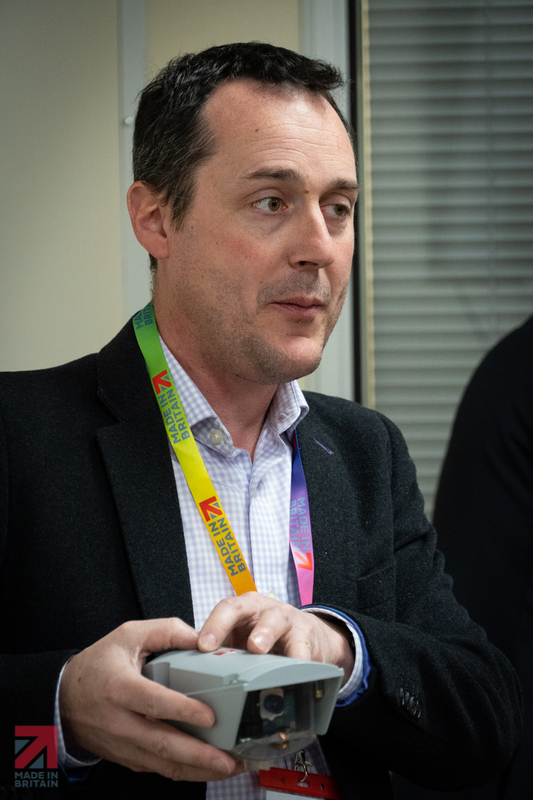 Matt Dibbs from Meteor Communications got the ball rolling and told us about his company’s solar-powered weatherproof camera that is being installed to provide real-time monitoring for infrastructure projects. Matt’s cameras are keeping watch over water flow control systems and similar installations, where technicians need an eye on changing conditions. 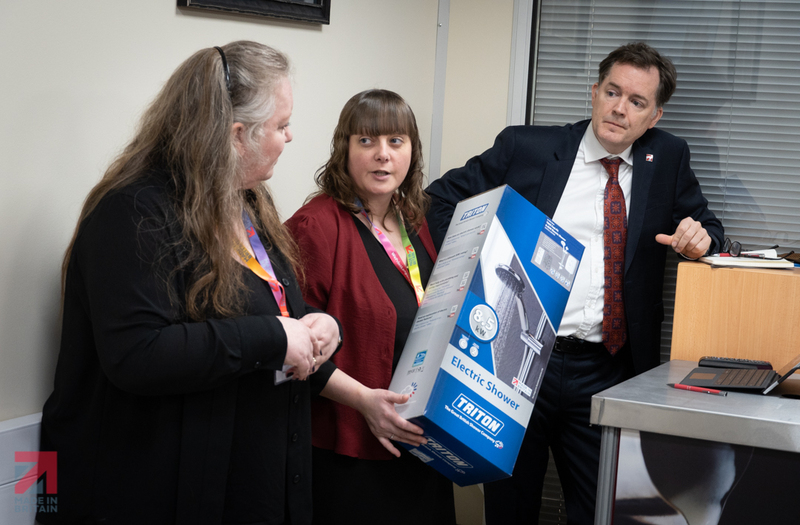 Triton Showers representatives Emily Johnson and Ann Burke explained how Triton has become very adept at working with other suppliers on projects, such as air con engineers, to tailor solutions to specific markets. Differences in plumbing practices between countries is a constant export challenge for companies like Triton Showers, so they have had to learn how to adapt to the requirements of the local communities. 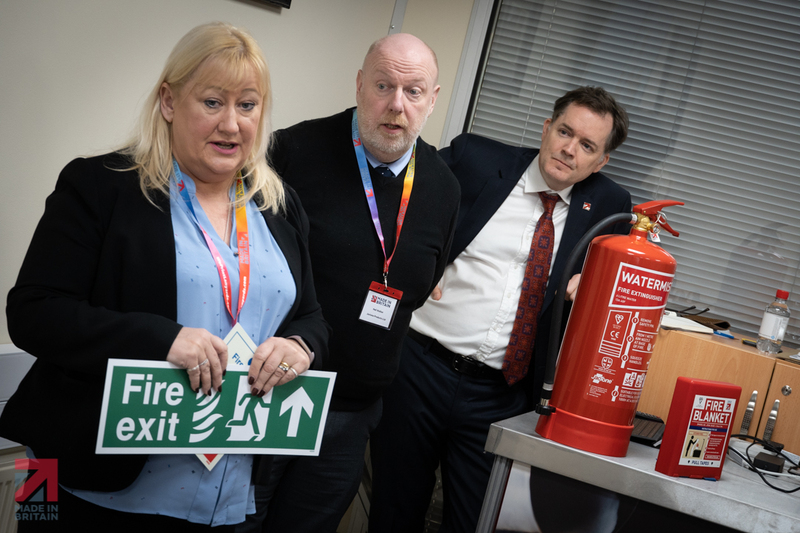 Carol Webb and Neil Walker told the group how Jactone Products makes fire and safety devices and can colour co-ordinate all its products. The company sells through distributors and sometimes finding partners can be a challenge. They face stiff competition from China but were delighted to report that customers in the Middle East put great value on the quality of products made in the UK. 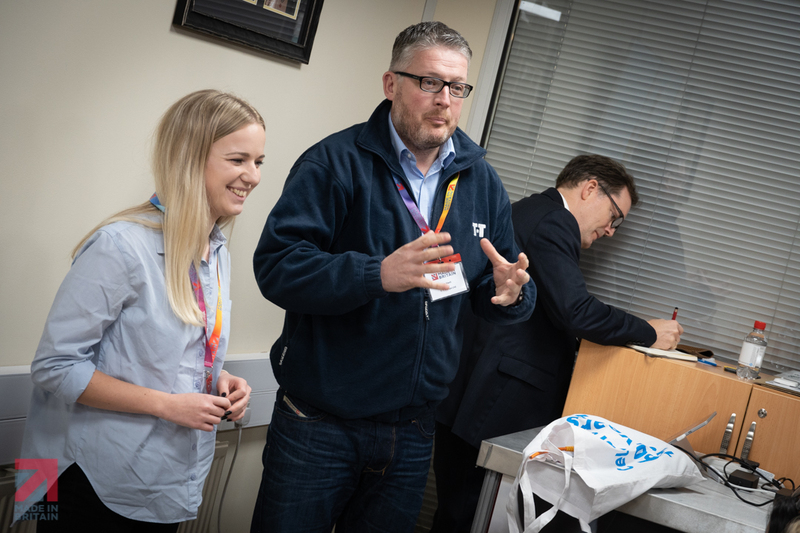 T-T Pumps attended its first Made in Britain workshop and the company’s Ben Nash and Rebecca Jones were very impressed with what they took away from the event. They brought with them the T-T Pumps float switch, which, tested at 10 Bar pressure, is a unique product. 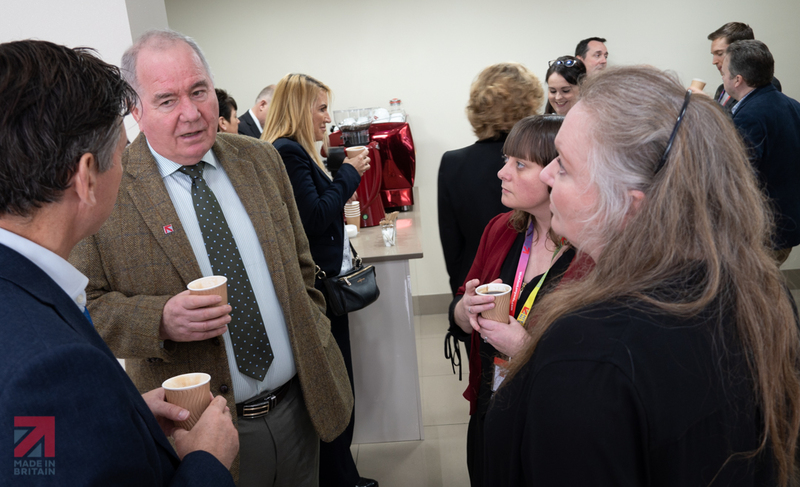 T-T Pumps has its sights set on Europe and the Far East as potential export markets. Max McKeague and James Fussell work for Protus Packaging. Protus specialises in film wrapping and other types of food packaging but it also supplies other sectors with specialist products. Like so many British manufacturers, Protus competes with China but Max and James explained how they remain competitive by not insisting on huge orders. Chinese suppliers prefer to offset shipping costs by stipulating big volumes of product. Muggi, the drinks holder manufacturer, is a regular at Made in Britain events. 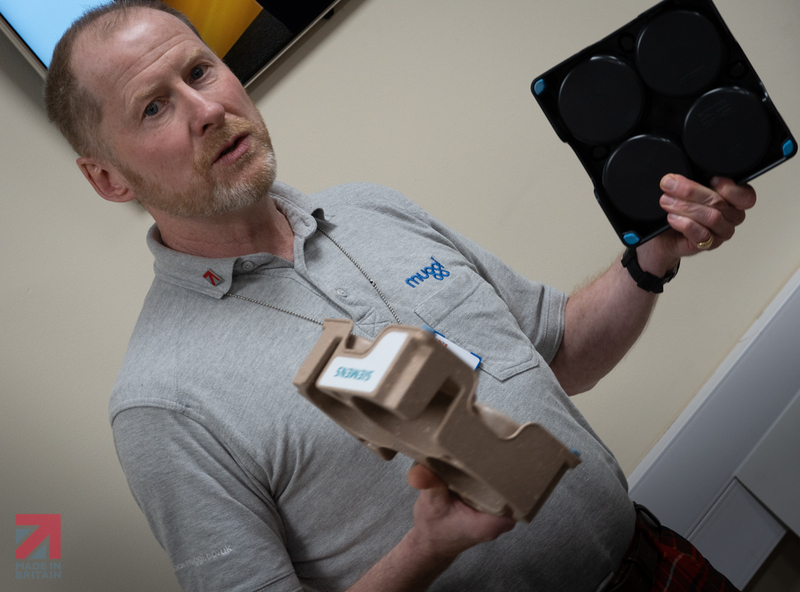 David Trotter talked about his company’s success exporting to the Nordic countries and how he has just found a great distributor in Australia for his super-stable drinks-carrying tray. The Muggi comes with an 88-year guarantee. 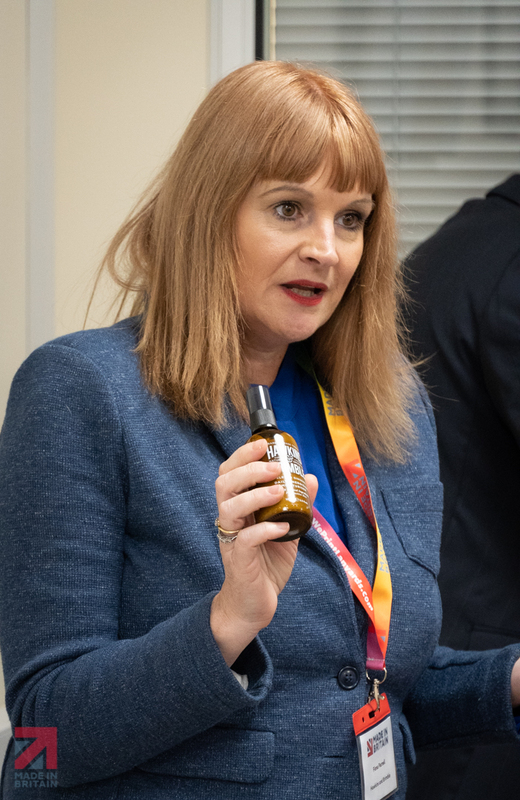 Fiona Parnell introduced us to Hawkins and Brimble, a range of men’s grooming products, and talked about the challenges of doing business in America. Many American states have their own import policies, so this can make exporting to America a bit like exporting to several different countries. This hasn’t stopped Hawkins and Brimble setting up ten shops in Texas while still exploring possibilities in Asia. Lloyds Bank has an amazing feature on its business banking website. It’s called the International Trade Portal and access to the portal is free to all Made in Britain members. The power of the portal is incredible, providing detailed information about overseas markets in every sector. Members can research opportunities in dozens of countries and see who is buying and selling what into many regions. There’s access to statistics and trends, with information about trade shows and travel assistance. Sarah Wieczerzynska from Lloyds provided the superb demo for us today and the portal really has to be seen to be believed. The next two speakers tackled the business of exporting head on. 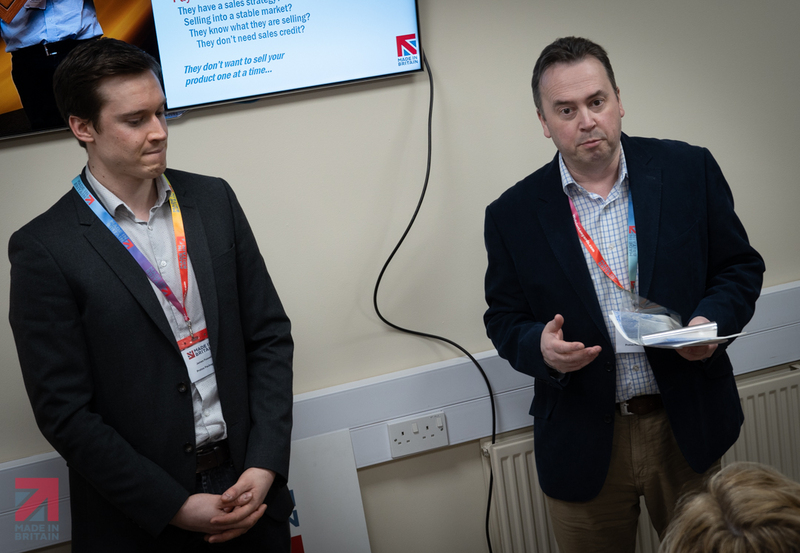 Tony Grimshaw OBE from kitchen and garden product manufacturer What More UK, and Peter Atmore from our host Fracino told delegates their export success stories. 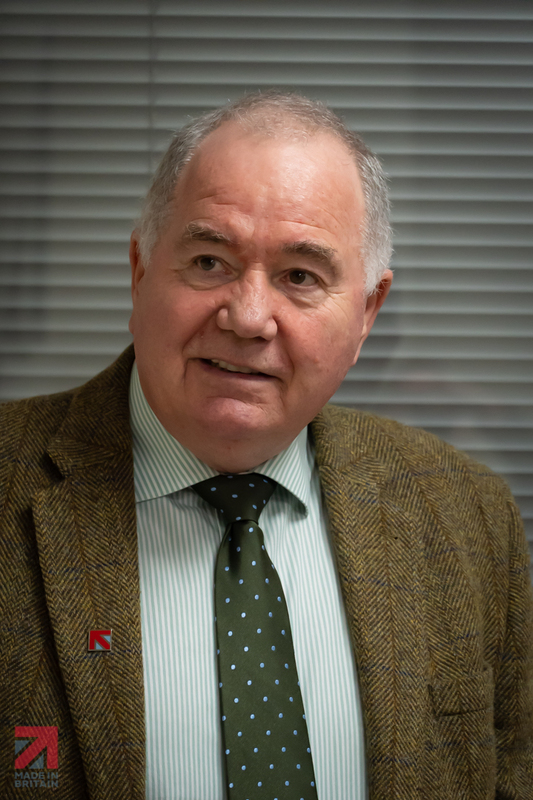 The final speaker at the Made in Britain workshop in Birmingham was Colin Johnson from a company called Cadenas. Cadenas has been working with Made in Britain member company Power Jacks to help them generate sales leads through web services provided to potential customers. You can find out all about the work Colin has done for Power Jacks in an exclusive members-only video presentation. Colin and Bruce Hamper from Power Jacks talk to Made in Britain’s chief executive John Pearce and marketing officer Curtis Bligh. More details on how members can watch the video will be published soon. We have published a longer version of this article in the members area of the website. The full text includes details of the exporting advice given to delegates by Tony and Peter, together with a handy ‘exporting checklist’. If you would like to access this type of valuable business insight you must be a member of Made in Britain. Email: membership@madeinbritain.org to find out if your manufacturing business meets the criteria.